Some men believe that only the gifted succeed. They tend to think that only those who are specially endowed with extraordinary talent are prone to really make a mark in this life. I don’t believe that. In fact, it seems just the opposite. I’ve seen the most gifted people flounder in life and fail to make use of their full potential because they never fully develop their skill. Skill is an important word. It is actually a form of wisdom and indicates that a man has mental or physical dexterity. No matter your pursuit, if you lack sharpness and have rough edges you can overcome that by strengthening your skill set. How? Practice and repetition. I was not born with natural “gifting” that I could easily rely upon to make a living. I’ve had to learn principles that bring success and force my behavior to align with those principles. What I have found is that the more I live by those established principles the more consistent my success has become. 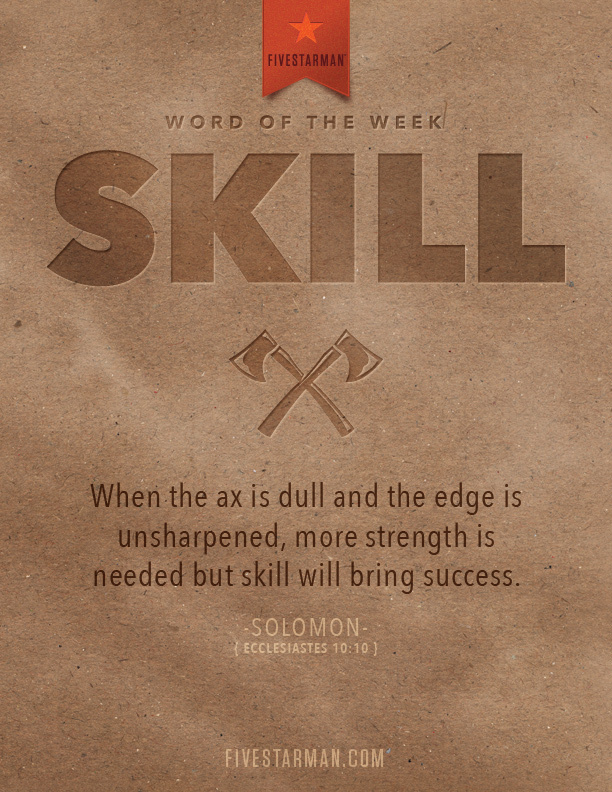 What are you presently sharpening in your life to bring success? What are you naturally gifted in that you’ve allowed to become dull and useless? Who do you know that can sharpen you so that you can improve an area of your life?